2007 Cantore di Castelforte Primitivo di Manduria Our wines are grown on four farms (Centonze, Tre Torri, Cicimaia and Mazzetta) spread out over 1,500 acres through out the beautiful rolling hills of Salento located in the 'heel of the boot' region of Puglia. After picking, the grapes are processed and stored at our wine cellar located in Manduria in the Province of Taranto. 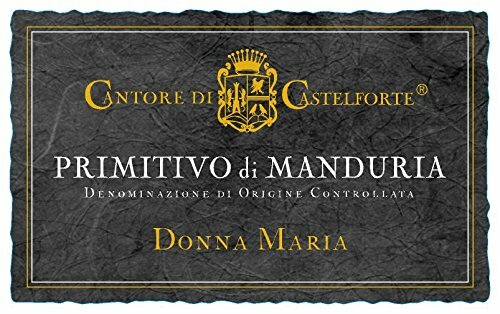 The wines Primitivo di Manduria D.O.C. and the Primitivo (del Salento) Donna Maria have received multiple awards at the world renown VINITALY (Verona) and London International Wine & Spirits competitions.